Remember NEO? Formerly Antshares, NEO became one of the hottest blockchains of 2017. It saw an astounding rise in popularity thanks to a charismatic leader, a loyal developer community, and a decent scoop of hype. NEO was often compared to Vitalik’s creation, even touted as the ‘Ethereum Killer.’ So, what happened? Is NEO Still a Horse in the Race? Just like all major cryptocurrencies, NEO had a pretty catastrophic 2018. When many speculators realized that world-changing applications couldn’t be built overnight, they began to lose interest fast. Some even began to question whether NEO could stay the distance, or was sufficiently fiscally solvent to continue. 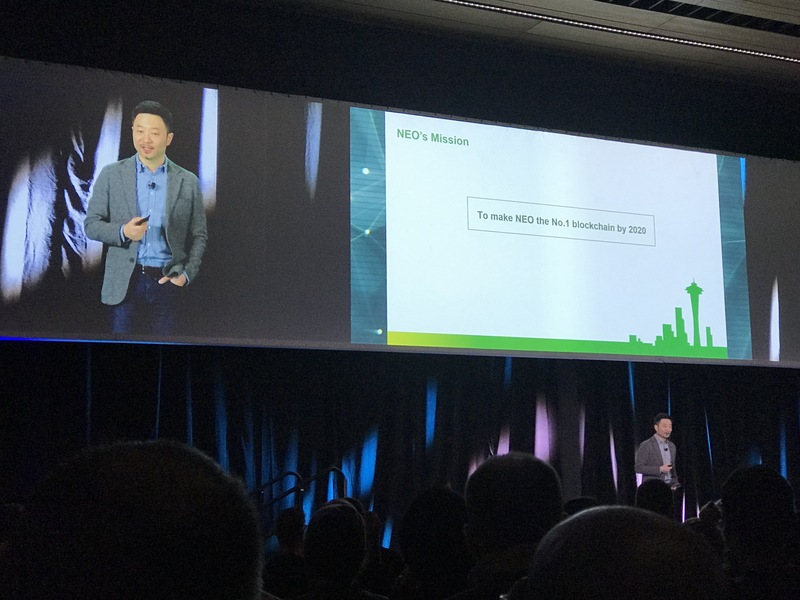 Well, surrounded by an excited crowd of developers and NEO enthusiasts at NEO DevCon in Seattle this weekend, it certainly seems like they’ve found their second wind. No stranger to bold statements, charismatic founder Da Hongfei bounded up on stage beaming from ear to ear. He was clearly pleased (and a little surprised) by the packed turnout in the conference hall. There was even an entourage of fans lining up to take selfies with him. Does NEO have the funds to make it through the bear? Yes. Hongfei assured everyone that they still have plenty of funds for the next few years. In fact, they still have $2 million left from their initial ICO in 2015. Not to mention millions of dollars worth of BTC, ETH, and NEO. 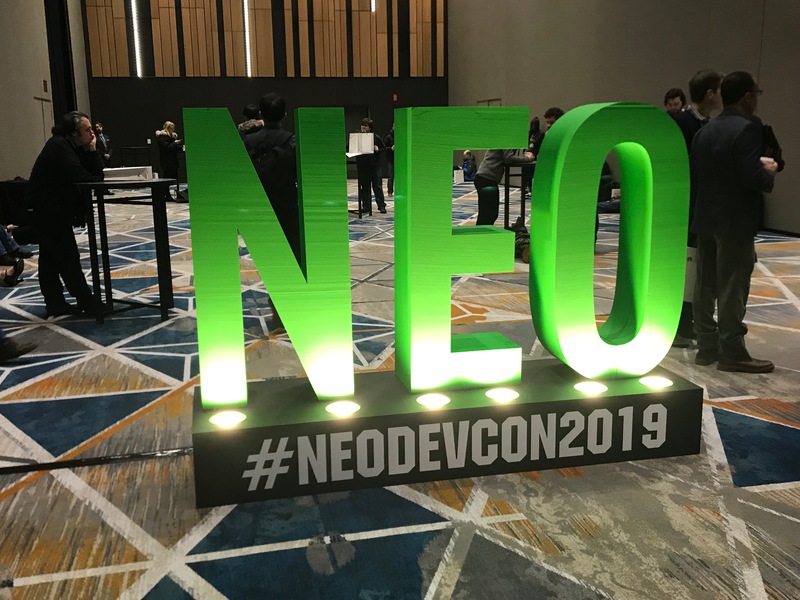 NEO DevCon was different though. Hongfei was more pragmatic. He revealed a slide that stated NEO would be the number 1 blockchain by 2020 (without specific reference to TPS speed). He also went on to smile a little sheepishly upon realizing that 2020 is now next year. He pointed out that, depending on how you look at it, it was really closer to two years. But here’s the deal, timelines aside: NEO is building. NEO is expanding and NEO is hiring. The signs are still there that there is still hope and a lot of life left in this project. It takes time to revolutionize the world and prepare for the smart economy–NEO’s vision from day one. Its restless community will have to wait a little longer since NEO 3.0 is coming–but the timeline is by no means set in stone yet. NEO, like other blockchain projects, may have gone through a tough year, but it’s still very much a horse in this race. NEO’s joint founder Erik Zhang is known for preferring his place in the developer chair, rather than on stage. He delivered his presentation via video. The new features of NEO 3.0 are meant to give the blockchain the power to scale massively through layer 2 solutions and to support large scale enterprises. NEO 3.0 will be about streamlining and optimizing. Among the upgrades will be native smart contracts that don’t require NEO’s VM to execute. NEO 3.0 will also allow users to access internet resources in smart contracts, and allow consensus nodes to ensure data consistency, to speed up transaction efficiency. The blockchain will also be making massive changes to its dBFT consensus adding recovery log and recovery message for when consensus nodes are offline. They will also be using NeoFS to build a low-cost distributed storage network that will large enterprises to store large amounts of data. Setting up the first new office (or NGD) in Shanghai, NEO is now expanding to Seattle. And it’s no confidence that this is the city of Microsoft and Amazon. 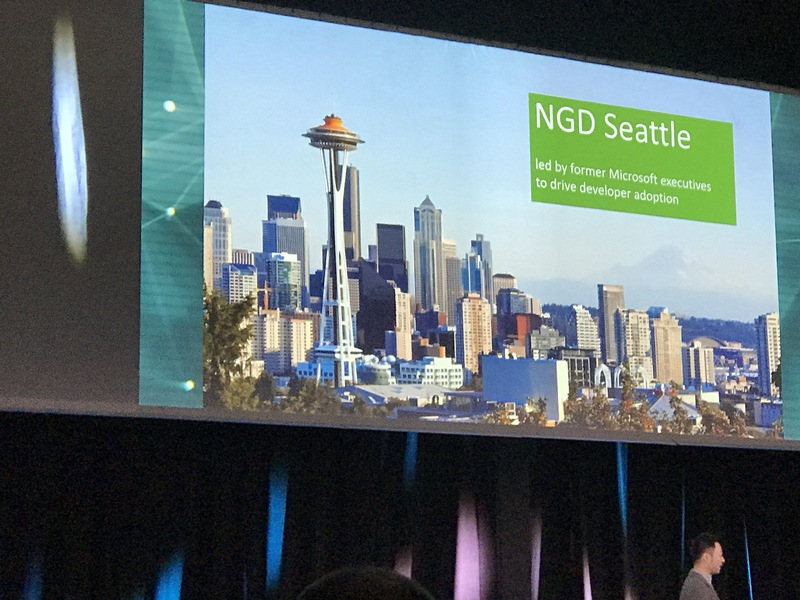 The new Seattle branch will be headed up by ex Microsoft General Manager John DeVadoss, who built Microsoft Digital from zero to half a billion dollars of business worldwide. His role will be fostering the developer community and improving the developer experience. Clearly impassioned at the power of blockchain technology and excited for the future, DeVadoss chose NEO over any other blockchain for many reasons. There are millions and millions of developers out there… there is such an opportunity! Speaking to Fabio Canesin, co-founder of City of Zion and of Nash (formerly NEON Exchange), it’s clear that plenty of NEO DApps are also thriving. While just like any blockchain with DApps, there are some that won’t go the distance, Nash is about to take off. In fact, they’re announcing the start of the closed version of their product at the conference as well as starting an early access referral program. We want to refine our product, we have passionate people following us from the beginning, and we want to get them into the product and get their feedback. If a project right now cannot be bold about the technology direction that they take they will become quite cumbersome… we have four, five, or even 10 years more. The transition to the digital or smart economy won’t happen overnight. But it feels as if the NEO team has really grown up. As much as they would like to, they realize that they simply can’t build Rome in a day. But that’s OK, they’re doing it brick by brick.